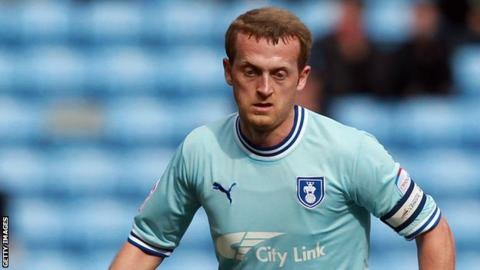 Kilmarnock have signed Northern Ireland international midfielder Sammy Clingan. The 29-year-old has joined Kenny Shiels' side on an 18-month deal after leaving Doncaster Rovers last month. Clingan, capped 33 times, began his career at Wolves before spells at Nottingham Forest, Norwich and Coventry, among others. "Sammy is a really good player. He passes the ball well, gets into good positions and knows the game so he is one we need badly," said Shiels. Clingan is eligible for Wednesday's Scottish Premier League match at Celtic Park, although he is short of match fitness.